Saturday! The weather was warming up — have I mentioned how I’d jetted in on Thursday, a day after a huge storm passed through the city? Good timing (well, luck) is essential to any holiday, even a short one. 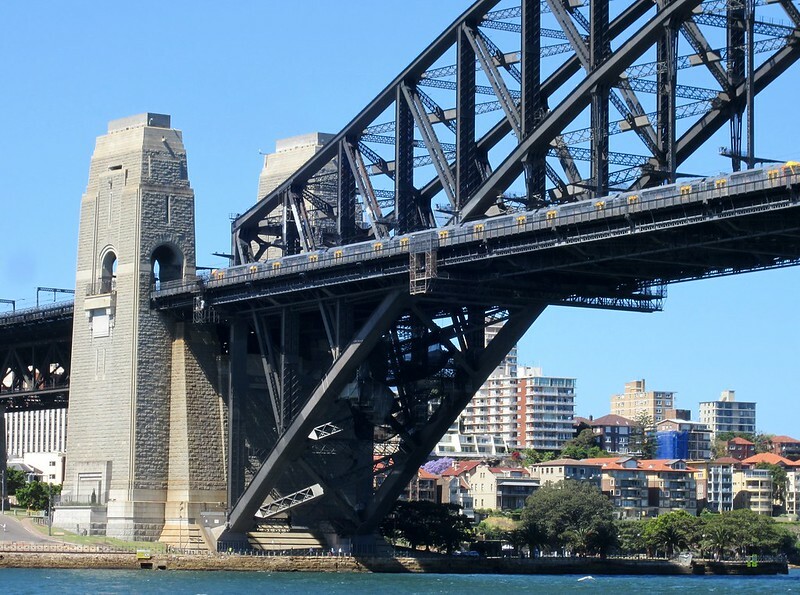 After breakfasting at The Bunker in Darlinghurst, we caught the train across the Harbour Bridge to Milson’s Point — and walked back. From the station it’s only a couple of minutes walk to the footway over the bridge. Plenty of others were out and about doing it as well, and there were also a few security guards around — I don’t remember their presence last time I did this, but that was about 20 years ago. The roadways were busy. Some of the old toll gates still seem to be in place, though I assume in the age of the eTag, they’re not used anymore. 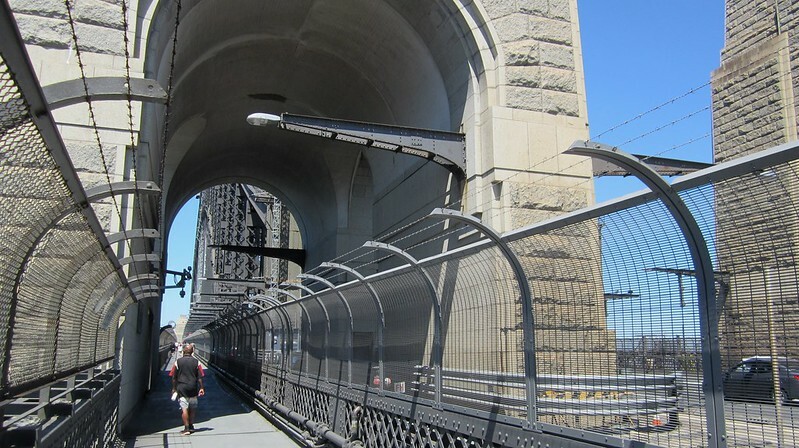 Also still present: what appear to be support structures formerly used for tram overhead wires, until trams were removed from the bridge in 1958. The sun was shining, making me wish I’d packed my hat. Despite the presence of many safety fences, there are some great views from the bridge. I could see the grey-suited bridge climbers as well, who no doubt were getting an even better view. Perhaps on my next trip to Sydney I’ll try that out. As usual, the harbour was busy with boats: everything from Sydney ferries small and big (cue “Reckless”) to sailing boats to a tall ship. 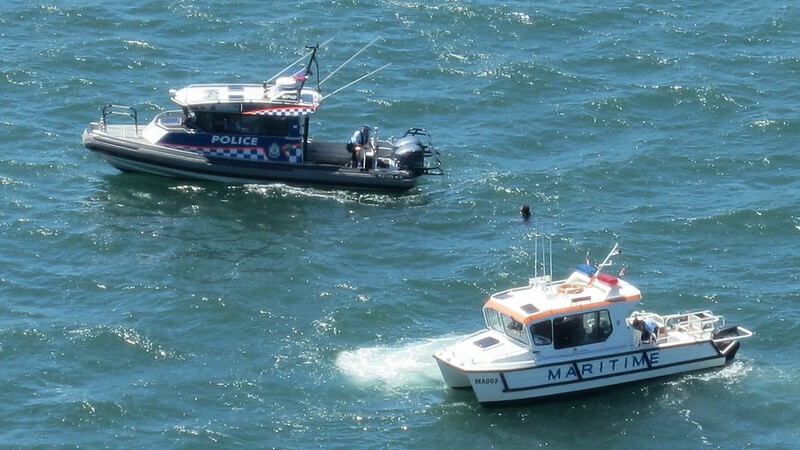 A police boat and one marked “Maritime” (some other authority no doubt) were circling someone who had taken a dunk in the water, presumably to rescue him. 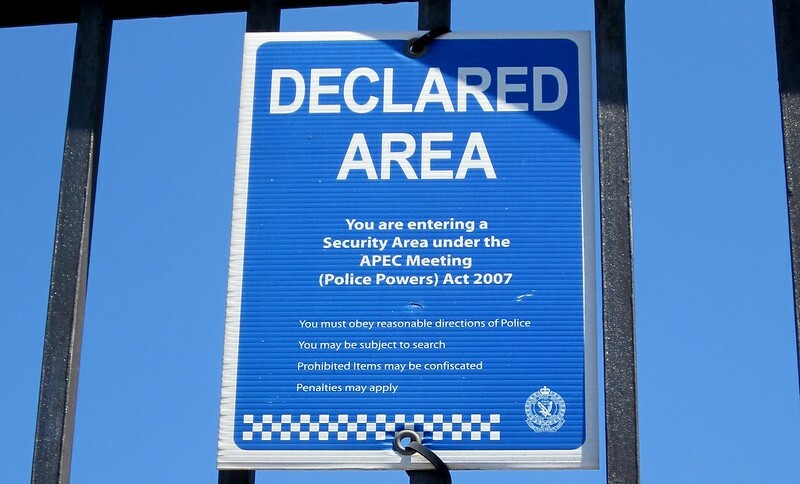 It was only a few days until the G20 in Brisbane… I spotted one sign from Sydney’s APEC meeting in 2007 (perhaps best remembered for the Chaser motorcade) still on display stuck to part of the Bridge. It said you had to obey reasonable directions of Police. Not sure about unreasonable directions. 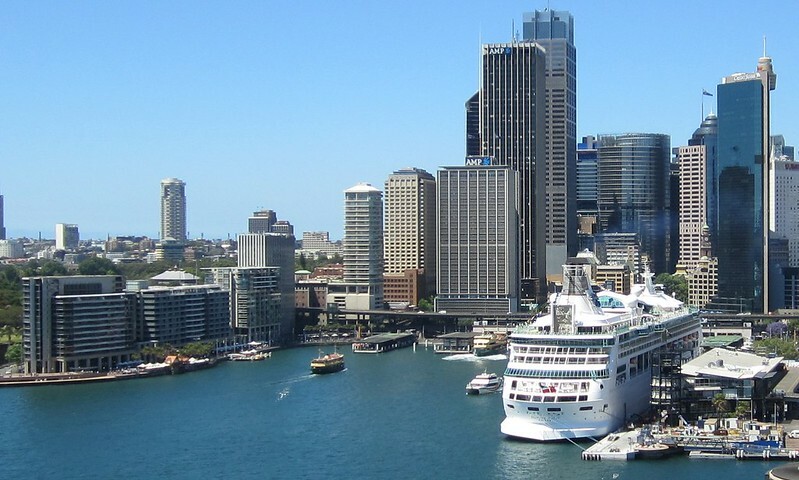 A gigantic cruise ship named “Rhapsody of the Seas” was docked at Circular Quay. 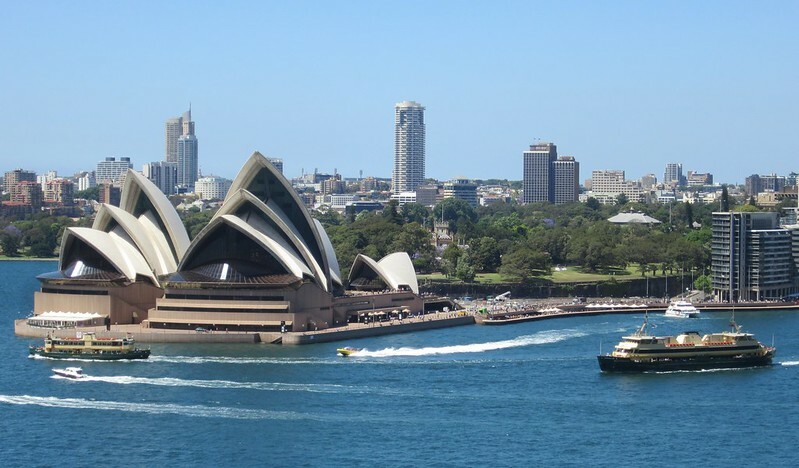 M said it had disgorged thousands of passengers earlier in the week, and there seemed to be plenty of them wandering around The Rocks, Sydney’s historic harbourside suburb. 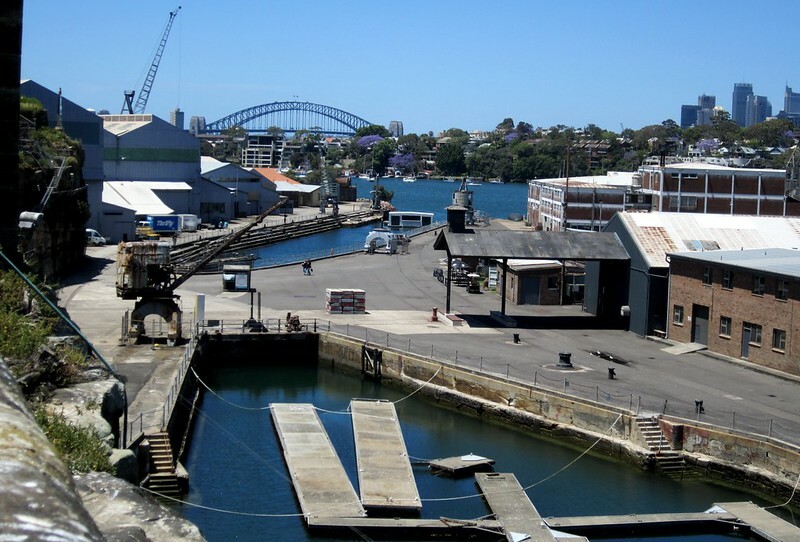 After a quick walk around The Rocks, from Circular Quay we caught a ferry to Cockatoo Island, formerly used as a prison and a shipyard, now a heritage and cultural site. I was a bit disappointed that it was a newish, modern ferry, unlike the “traditional” type I always picture (the equivalent of a Melbourne W-class tram perhaps), and which seemed to be operating on some of the other routes. Not to worry; we ended up getting one of those on the way back. 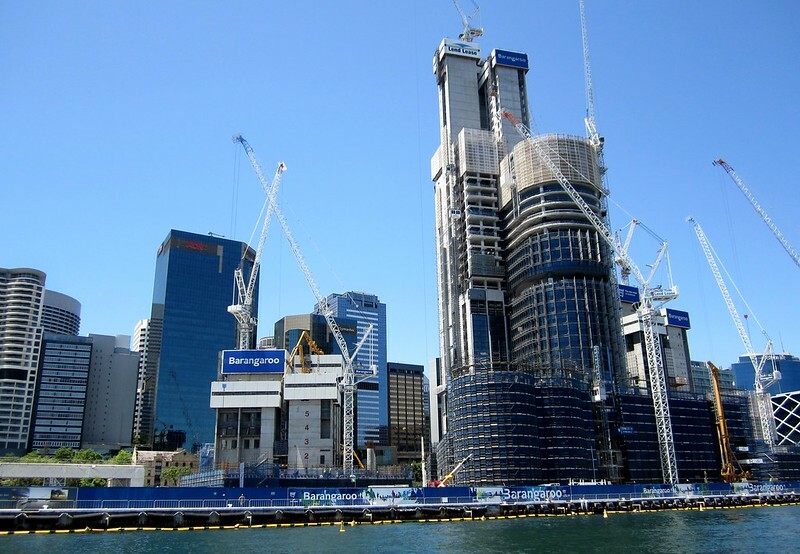 On the way the ferry stopped off at Darling Harbour, passing the massive new Bangaroo Barangaroo precinct, which at the moment is a huge construction zone, but is planned to be a casino, hotel, cultural area and apartments. From what I hear, the transport planning around hasn’t been well thought-out, with no mass transit options provided except a long walkway to the nearest distant station at Wynyard — about 300 metres from the southern end of the precinct, but over a mile from the northern end. 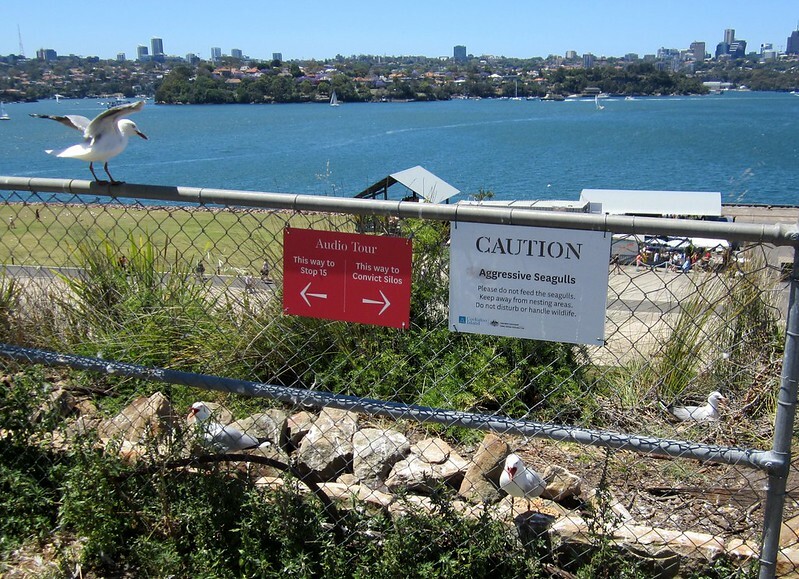 After about half-an-hour we landed at Cockatoo Island, and started exploring. 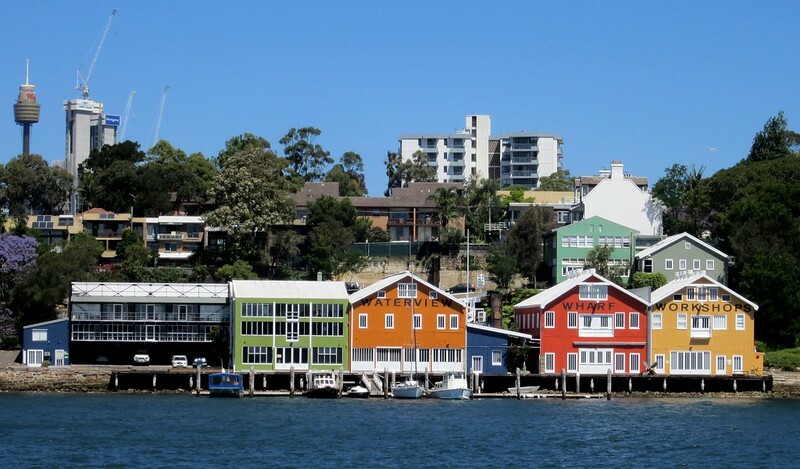 The island has various areas showing off the different aspects of its heritage, and we explored for quite a while, discovering tunnels, convict areas, old shipyards (some parts still used, it looks like). There’s also an area full of tents, where you can camp, and if you prefer a more civilised place to stay, a Bed & Breakfast. 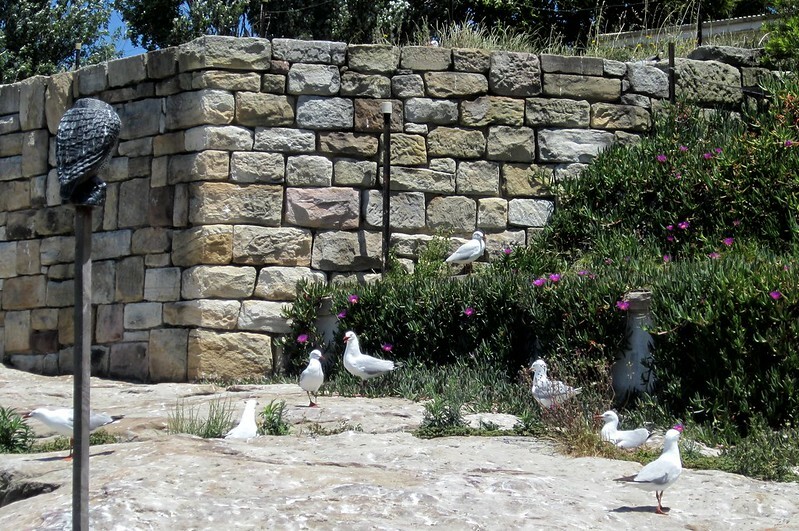 In some spots there were also a large number of very cranky seagulls — extremely noisy and some trying to swoop to scare people away from their hatching areas. In one spot there was one of those fake owls, perhaps to try and calm them down. It clearly doesn’t work — in fact they’d pooed on it. We then went to the Island Bar, and snacked on a pizza for lunch over a drink or two. The view was glorious, though once again I felt myself getting sunburnt. It was enjoyable just lazing, eating and drinking there for a while, though for the middle of the day, the staff just seemed a teensy bit over-zealous — for instance the security guy asked specifically if we had food or drink in a bag when we entered (would they have made us chuck it out before entering? 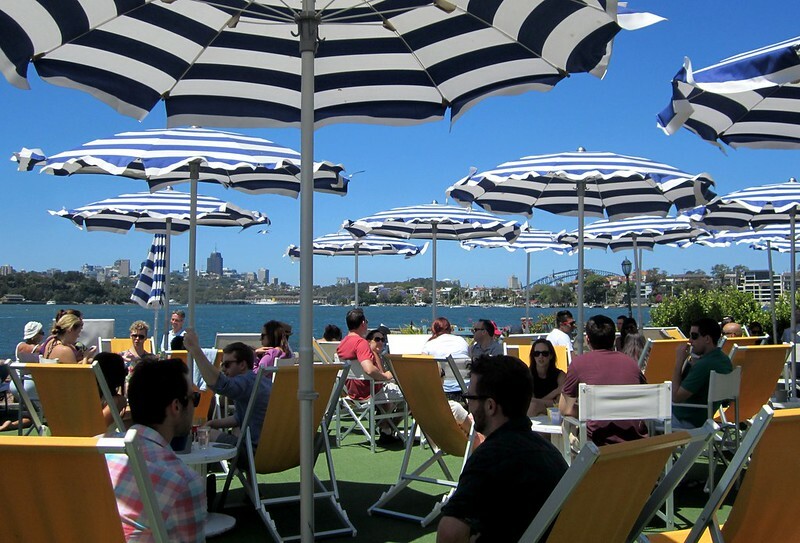 ), and the wait staff seemed very quick to descend and straighten-out any unoccupied deck chairs which had been moved out of position. The jukebox was playing music, and at one point “Brazil” played, making me think of the movie of the same name, and I pondered whether this paradise was in fact a bit more authoritarian than it needed to be. That said, the ambience made it clear that some people were there not sightseeing, but partying, so I can understand why there was a security presence, and perhaps it helps explains the vigilance. We headed back on another ferry — on the other route that serves the island, so seeing a few different sights on the way back. From Circular Quay (after topping up our Opal cards, which as I’ve noted, it turned out we didn’t need to do as we’d hit the daily fare cap by this point, and wouldn’t be using PT on Sunday) we headed south to have a bit of a look around the shopping areas of the CBD. 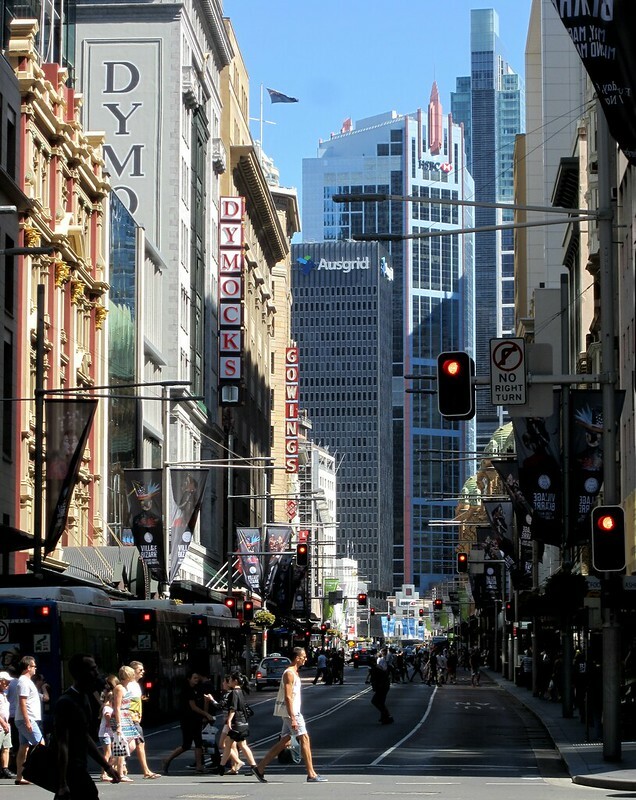 By this point — Saturday afternoon — it was pretty packed with people, especially in Pitt Street Mall. There were also large numbers of pedestrians along George Street, and I found myself appreciating that Sydney (like every other Australian capital city other than Melbourne) doesn’t allow motorbikes to park on the footpath, instead providing areas on the road for them to park. This especially helps on narrow streets, but even George Street with its wide footpaths benefits. While in the area, I thought we might duck into Uniqlo, whose signs were prominent around the MidCity centre, but they hadn’t actually opened yet in Sydney. Looks like it opened a few days later. We caught a train from Town Hall back to the hotel to relax for a short while, then headed back to Town Hall to catch a bus to my friend KW’s place for dinner in Drummoyne. 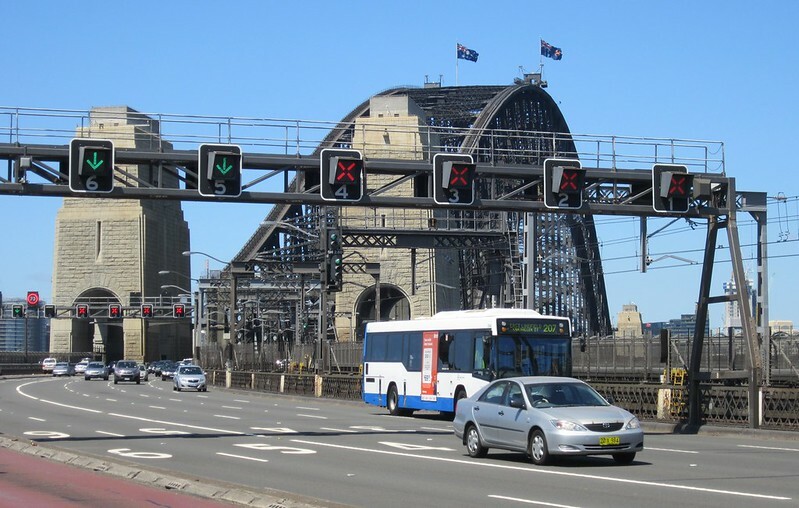 Google Transit and Transport for NSW’s journey planner agreed: several reasonably frequent bus routes could take us there, but we still ended up waiting about 15 minutes, and when we got off the bus I noted two others in close succession. Sigh. One mighty fine dinner later, we headed back by bus/train. 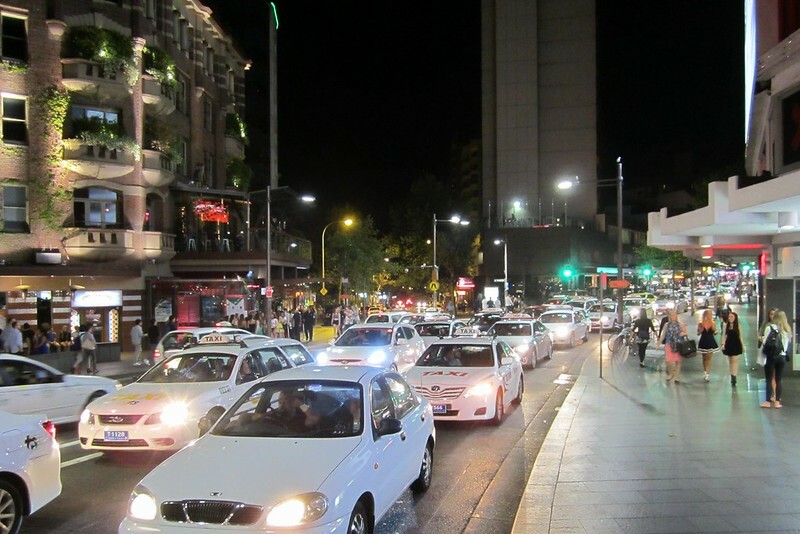 Being Saturday night, Kings Cross was super-busy, and noisy. About as noisy as the seagulls, but less aggressive. I must say though, little of the noise penetrated the hotel room, and we slept like logs until morning. You know it’s a long way when the measurement changes from metric to imperial. Baran, Brana, Banga… The Hungry Mile. Great views from the bridge, but it so noisy when you walk across. 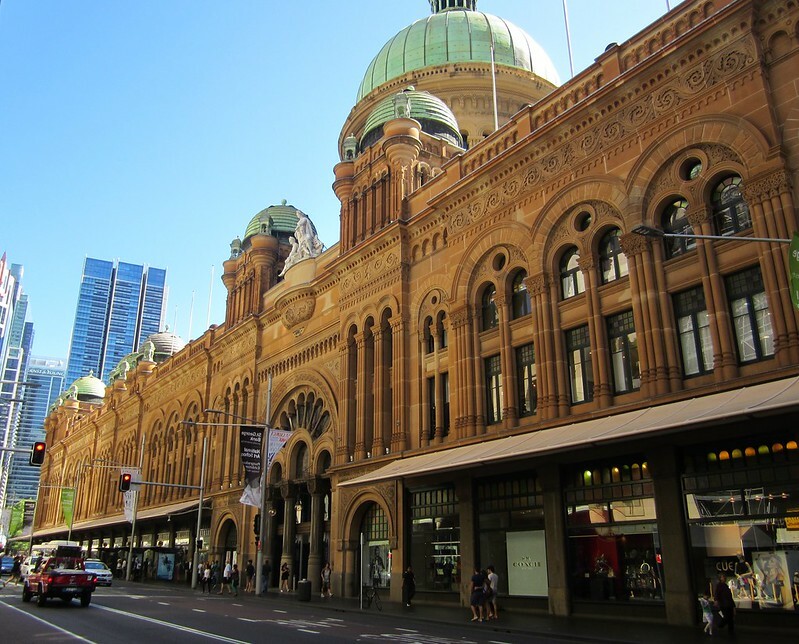 Rhapsody has been to Melbourne and will be here again in February. Great post and terrific photos. George Street may well not look the same when you next visit! 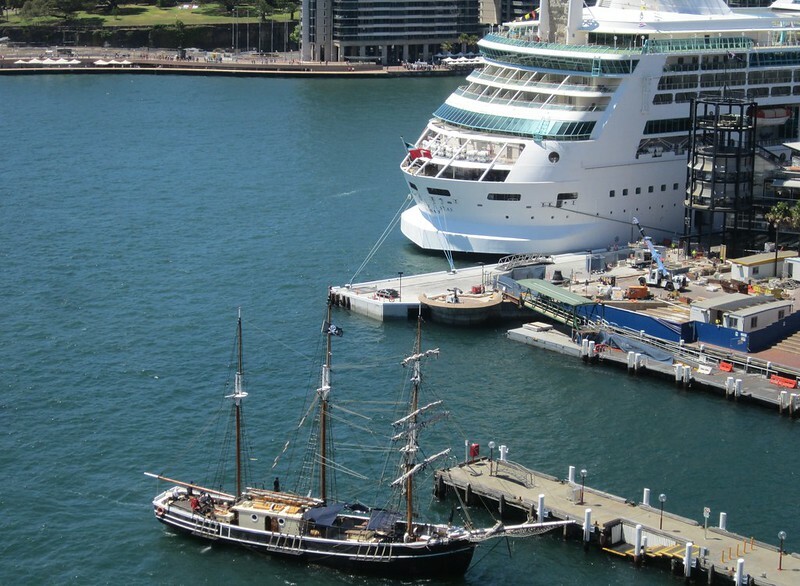 The tall ship appears to be the barquentine Southern Swan (http://www.sydneytallships.com.au/our-fleet.html#.VGiZqjSUe-k). You certainly pack a lot into a day. Was the fare for the ferry to Cookatoo island covered by your travel card or was it an “extra” like the airport train? @Roger, honestly it was pretty relaxed. We aimed to do 2-3 things each day, but not rush around like maniacs. 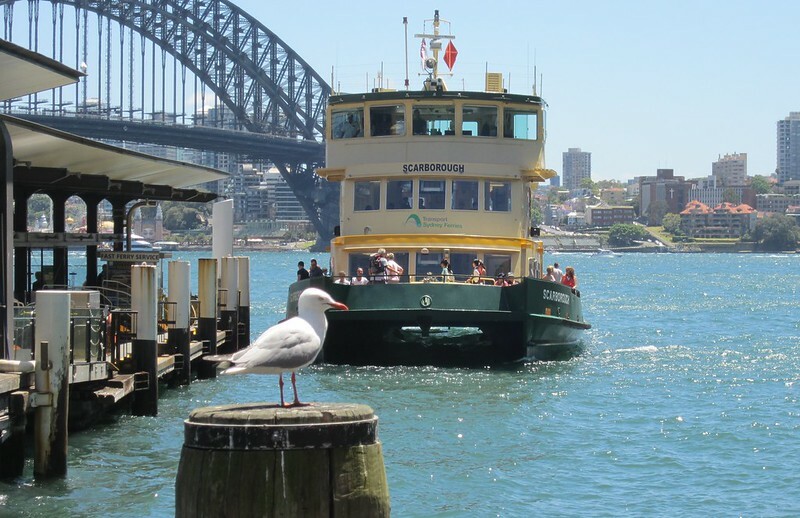 Cockatoo Island is served by two standard Sydney Ferries services – regular ferry fares apply. kings cross Saturday night is inappropriate.